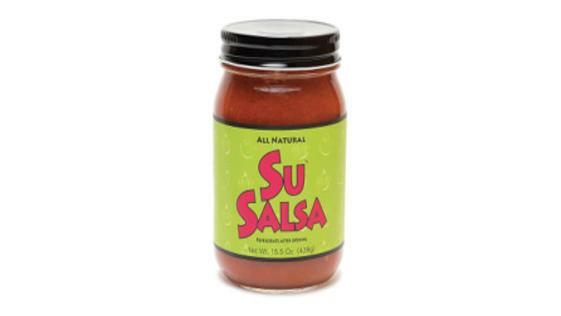 Su Salsa is your salsa, amazingly delicious, great on chips or your favorite dish! This is the best all natural salsa on the market. 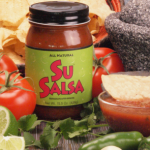 The best shelf stable salsa on the Market. The best all around blended texture with an amazing lime cilantro flavor and a hint of jalapeño that keeps you coming back for more. Shake it, open it, pour it, eat it, and love it!!! 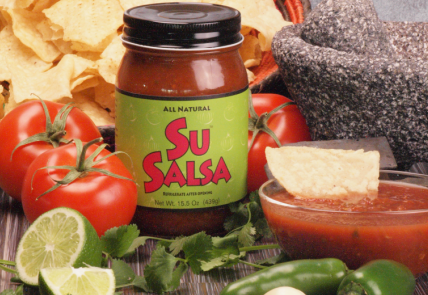 Su Salsa is “Your Salsa” Healthy and Delicious! Great on chips or your favorite dish! 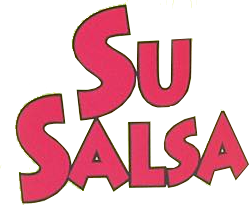 So why do we call it Su Salsa? Well here’s the story. Sherry has been making salsa in her kitchen for many years as a family favorite recipe. Every time someone would enjoy Sherry’s salsa they would say that it was so good it should be made for everyone to enjoy. Sherry has two sons named Steven and Jason. Steven took Spanish in school and would rush home to tell his Mom about his class and what he learned each day. He would enter the house saying, “Su Momma, Su Momma, where are you?” Su in Spanish means “Your” Sherry would say, “Here I am” and Steven would tell her all about his day. Soon after this grand entrance each day Steven began to say, “Su where are you? I’m home from school.” Sherry would smile and answer him. Over time Sherry adopted the nickname “Su” that Steven had given her. So in Sherry’s heart when you buy “Su Salsa” you are really buying “Su’s” secret recipe! So “Su Salsa” is “Your Salsa” made especially by Sherry for you to enjoy with your family and friends, just as Sherry has done for many years. This entry was posted in Food and tagged Food, salsa on May 18, 2017 .